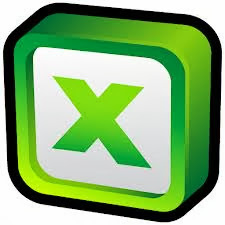 How to Improve Your Microsoft Excel Skills - Something New Everyday! 1- Cells merger is strictly not allowed for professional databases. Merged cells prevent automatic reports generation, formula reference errors, data automation and several other limitations. 2- Cell formatting should be applied on each column. As an example if Column-A is dedicated for 'dates' then no other format (text, number etc) should be allowed. This can be controlled by Drop Down menus or Data Validation Tool of Excel. 3- Control Multiple Entries strictly. If this is unavoidable then use unique naming conventions to clearly identify the second entry. For example Microwave, Microwave_UAE, Microwave_KSA etc. Use Cell Highlight Rules to identify duplicate entries or use Data Validation to generate pop up message for the user. 4- No blank row or column should be left in the database. This ensures data's integrity. 5- Using sensible and logical words. For example under the column PAC status if I write "Done" or "In process" it may have multiple meanings such as "Permission applied" "Permission reviewed" "Permission approved" "Permission reviewed"
7- Use Trim function to remove extra spaces from your entries. 2- Automation should be done as much as possible. This can be done using Formulae (If, count, sum, vlookup, clean tools of Excel). Data automation reduces the chances of error to a great extent. Also, use data validation to inform the user about what information is required to be filled in. 4- Begin with the End in Mind. What reports the management is looking for. Can you generate the reports with-in seconds or you have to do manual work to generate the report? - If you would like to receive the Excel file containing basis elaboration of above points, please drop me a line so I can respond.